← What home improvements are eligible for the Green Deal? The Green Deal scheme will enable customers to install a range of energy efficient home improvements at no upfront cost, helping home owners upgrade the energy efficiency of their homes, reduce their energy bills and cut their carbon footprint. Launched at the beginning of October 2012, the key aims of the Green Deal are to make homes cheaper to heat thus lowering heating bills, cut carbon emissions and generally make homes warmer and cosier through better insulation. From assessors and providers to Energy Performance Certificates and the Golden Rule, we take a look at some of the most popular Green Deal jargon and lingo associated with the Government’s retrofit scheme. Assessor – also known as a Green Deal advisor, assessors are responsible for visiting a property to carry out a survey – also known as a Green Deal assessment – to determine the energy efficiency of the home and then recommend specific measures eligible for Green Deal funding which will boost the property’s energy efficiency. Boilers – energy efficient condensing boilers are going to have a key role to play in a scheme aiming to retrofit about 14 million of Britain’s poorly insulated and heated homes. Energy efficient boilers use up to a third less fuel compared to conventional boilers but because they produce the same amount of heat will help to lower a household’s heating costs. Carbon emissions – with the introduction of the Green Deal the Government is aiming to cut carbon emissions in domestic properties by 23%. It has set a lower reduction target for businesses and workplaces of 13%. Certification bodies – have the authority to certify Green Deal assessors and installers and are responsible for registering them with the Green Deal Oversight and Registration Body. They include the likes of OFTEC, NICEIC and Fensa. Code of Practice – underpins the national home insulation scheme. Assessors, installers and providers have to adhere to the standards and principles set out in the Code of Practice. Department of Energy and Climate Change – Government department tasked with helping energy consumers save money through the Green Deal. Draught Proofing – from windows and doors to loft hatches and letter boxes, by draught proofing your property it will help you save money on your heating bills. Blocking up those unwanted gaps that allow warm air to escape and cold air to sneak in will save you energy in the long run. Eligibility – the Green Deal scheme is available to anyone interested in making their property more energy efficient. Energy Performance Certificate (EPC) – central to your Green Deal Plan, the EPC rates your property for energy efficiency from A (most efficient) to G (least efficient). EPCs are valid for ten years and are a prerequisite for anyone selling or renting their property. Fuel Bills – by implementing measures recommended from your Green Deal assessment you’ll be able to make your home more energy efficient which will lead to a reduction in your household energy bills. Golden Rule – think of it as the foundation or the heart of the Green Deal. According to the ‘Golden Rule’ you won’t have to pay back any more than you make in savings on your energy bills. Green Deal Finance Company – a not-for-profit organisation the consortium has in excess of 50 members comprised from public and private sectors. The Green Deal Finance Company is charged with delivering universal low cost financing to domestic Green Deal adopters. Green Deal Oversight Body – run by multi service provider Gemserv, who have been chosen by DECC, this body is responsible for registering assessors, installers and providers. The Green Deal Oversight Body will play a pivotal and central role when it comes to implementing and developing the Government’s flagship Green Deal scheme. Heat pumps – home owners can install both air source heat pumps and ground source heat pumps as part of the Green Deal scheme. Home Improvement Fund – apply for up to £7,600 cashback through the Green Deal Home Improvement Fund, which was launched in June 2014. You’ll be able to choose from a range of approved measures from a list of 12. Installers – home owners can only instruct the services of installers authorized to carry out energy efficient home improvements. To become a Green Deal installer you have to meet the standard PAS 2030 for the improvement you want to install and achieve certification from a Green Deal accredited certification body. Insulation – loft and cavity wall insulation will be a pivotal element of the Green Deal home insulation scheme. January 2013 – when the Green Deal scheme was launched to the general population. Loft insulation – if you want to reduce your heating bills then you need to check that your loft is adequately insulated. If it’s not, you stand to lose as much as a quarter of the heat in your home through your inadequately insulated loft. Moving house – the Green Deal loan is tied into the property and its electricity meter, so if you move home the new owner will take over any Green Deal repayments associated with the property. No upfront cost – the beauty of the Green Deal is that you don’t have to pay upfront for any work to be carried out. Great news for home owners who wouldn’t necessarily have the disposable income to embrace energy efficient home improvement measures. Occupancy assessment – a part of the Green Deal assessment, the occupancy assessment takes into consideration household energy use and what sort of impact this could have on predicted energy savings. October 2012 – the Green Deal’s ‘soft launch’. The scheme was officially launched in October however the Government didn’t make an official announcement, choosing to wait for a ‘full-scale’ launch in January 2013. PAS 2030 – short for Publicly Available Specification, Green Deal installers must be certified as meeting the standard PAS 2030 for the technology they install. Provider – the Green Deal provider offers a ‘plan’ to home owners keen to utilise the scheme to implement energy efficient home improvements. Renewables – microgeneration technologies can be installed as part of the Green Deal to help home owners become more energy efficient as a means of cutting their carbon footprint and energy bills. Repayments – payments for installing renewable energy technologies or other energy efficient home improvements will be collected through energy bills. Solar photovoltaic (PV) panels – a popular and increasingly cost effective way of reducing your reliance on expensive fossil fuels, by generating your own green energy you’ll be able to lower your electricity costs considerably. Solar thermal – another renewable energy technology eligible to home owners with the Green Deal, solar thermal hot water systems heat your hot water. The systems can be used with an immersion heater or a conventional central heating boiler. Ten thousand pounds – home owners will be able to access a ‘loan’ of up to £10,000 to carry out home improvements at no upfront cost with the Green Deal. Underfloor heating – an efficient method of providing heat in the home, underfloor heating is generally considered to be more efficient because it uses less energy. 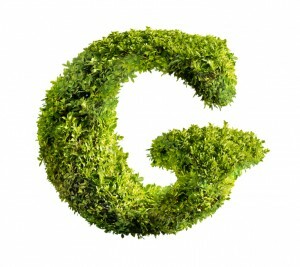 Voluntary – the Green Deal scheme is voluntary. Home owners are not under any obligation to make their homes more energy efficient. Windows – replacing old windows with new energy efficient glazing will help to make your property better insulated, which will in turn reduce your energy bills.